Physical activity levels among youth in the United States have plateaued. Among high school students, physical activity levels have remained stagnant over the last three years, according to the National Youth Risk Behavior Survey 2011-2015. For children ages 6-19, the 2016 U.S. Report Card on Physical Activity for Children and Youth gave the United States a D- for overall physical activity among children and youth, the same grade received in 2014. This grade means that the majority of U.S. children and youth have not, and continue to not, meet the national recommendations of 60 minutes of physical activity on at least five days per week. How do we move the needle for physical activity among K-12 students in the United States? NNPHI and member institute Health Resources in Action (HRiA), collectively referred to as Springboard to Active Schools, are helping CDC-funded state departments of health across the country to promote active school environments and implement proven programs related to physical education and physical activity in schools through a five-year Cooperative Agreement with CDC (FOA# DP16-1601). One of the proven initiatives for increasing physical education and physical activity in schools is the Comprehensive School Physical Activity Program (CSPAP). CSPAP comprises five key components – physical education, physical activity during school, physical activity before and after school, family and community engagement and staff involvement – and aims to help students meet the nationally-recommended 60 minutes of physical activity a day. One way NNPHI is supporting CDC grantees across the country is by training subject matter experts to implement CSPAP in schools within their states. 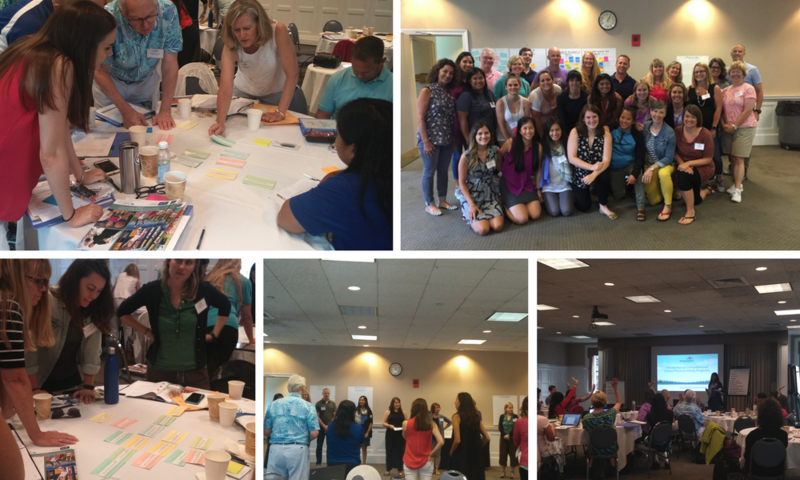 The Springboard to Active Schools hosted their first Training of Trainers (ToT) event on July 11-12 in Boston, MA with the goal of advancing participants’ knowledge, skills and abilities to implement the CSPAP framework in schools and school districts in their states. Are you interested in participating in a ToT? States decided for themselves if they had the interest, need and capacity to attend a ToT via an assessment in fall 2016. What are your training needs? We hosted individual phone calls with each interested state to discuss training needs around physical education, physical activity and sustainability beyond the grant cycle. From those calls, we determined topics and activities that the ToT should cover. What is your understanding of the CSPAP framework? We hosted a pre-ToT webinar entitled, A Brief Overview of CSPAP, to ensure participants had a similar understanding of CSPAP prior to the ToT and were prepared to dive into a deeper exploration of a few choice CSPAP components. Participants learned about policy guidance, strategies and resources for implementing recess and classroom physical activity in all grade levels and how to communicate the benefits of physical education and physical activity and CSPAP to diverse audiences using data, key messages, and success stories. With input from CDC grantees, the Springboard team hosted the first annual ToT over the course of a day and half for our 28 trainers. One of the most interesting conversations during the ToT was around a shared definition of classroom physical activity. The trainers conveyed a diverse set of perspectives and understandings around classroom physical activity: from breaks from the rigors of academic content to integration of physical activity into lesson plans to the differences between moderate to vigorous activity and calming mindfulness exercises. Our challenge as technical assistance providers is to be specific and targeted in our definition of a topic like classroom physical activity, while remaining open and accepting of the various perspectives we hear from across the country. Following the ToT, all trainers are required to lead two professional development events in their state by June 2018. Our team will conduct periodic follow-up to cultivate learning and sharing among the trainers. These “learning communities” will provide the time and space for trainers to talk to each other – with the support and facilitation of our team – about how they are meeting the expectations and where they’re getting stuck. We’ll work closely with trainers individually and through the learning communities to help them along the way as they work to conduct their two trainings in their state. Intended for partners in both the education and public health fields, this brief shares national data describing trends in the state of recess in U.S. schools. 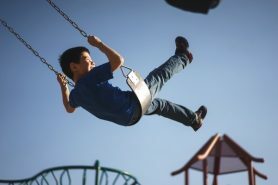 The brief also identifies key policies and practices that school districts and schools can apply and implement to promote and implement recess.